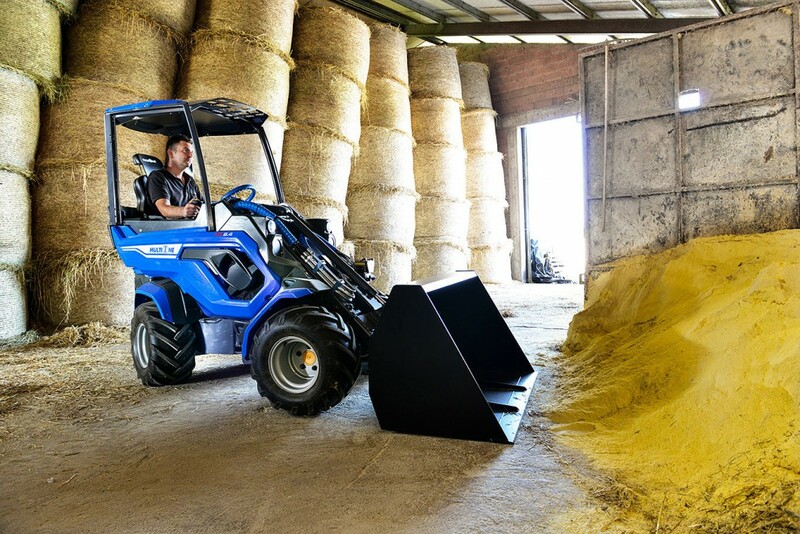 The MultiOne 8 Series continues to impress with a brand new architecture and design making it the only compact mini loader in its class to achieve the performance and standards in a very competitive and cost effective package. Only Top Quality Components and materials are used in the construction of this compact utility machine. The 8 Series comes with high speed radial piston motors delivering not only speed but massive traction unequalled by competitors. Design features include a wide, comfortable and easily accessible driver area with luxury seat and hi-profile backrest as well as a fully adjustable headrest. Full 360° visibility is offered by the new seat position and controls layout. The new cabin design not only assures great visibility of the attachments but also superior comfort and top of the line controls, left side protection bar, standard ROPS and FOPS protection , LED lights and a Hi-Fi Radio with Bluetooth. Hydraulic dumping mounts on the engine ensures almost no engine vibrations. 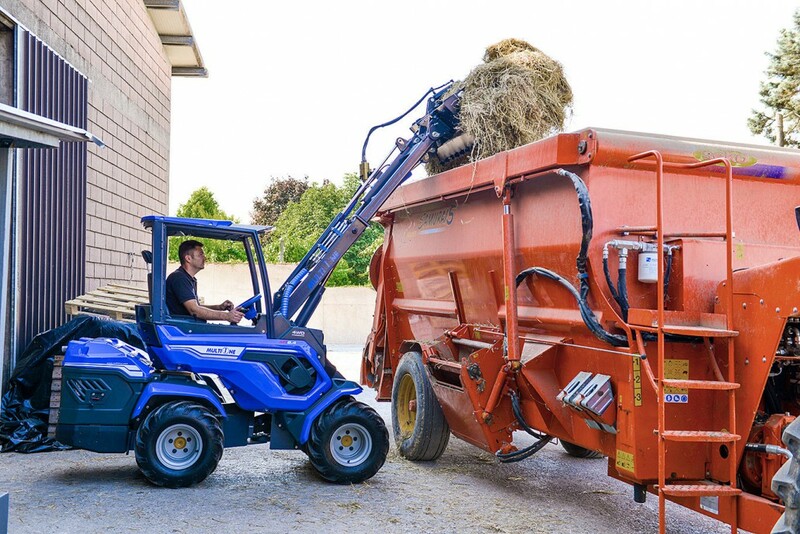 The MultiOne 8 series offers Best in Class lifting capacity, a strong and powerful double-H design type telescopic boom and 3 axis full time movements (lift/dump/telescopic) from the joystick. The stability and reliability features of these new revolutionary mini loaders include advanced and modern frame design, low centre of weight for amazing stability, integrated back weights and heavy duty cold forged articulation joints. Traction control (anti slip valves) and dynamic block systems(diff locks) are standard on the MultiOne 8 Series. The radial piston direct drive wheel motors on all models provide options for double speed and fast travel requirements on roads and even surfaces. 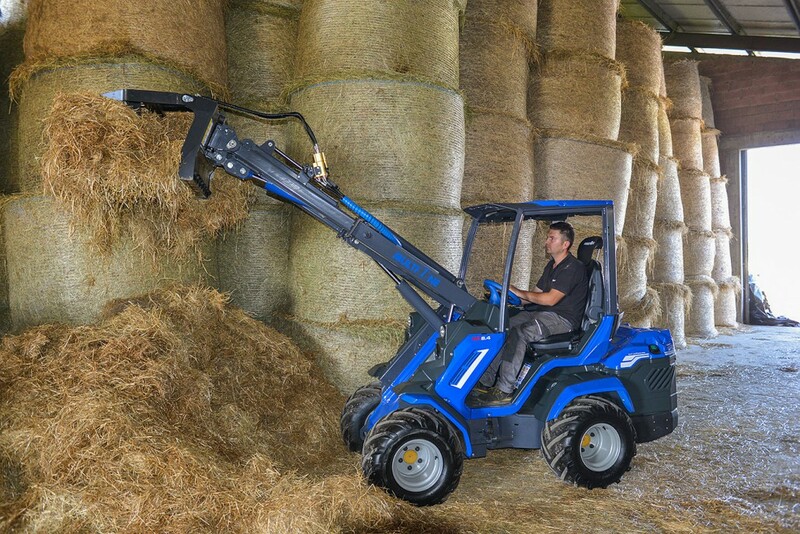 The 8 series has a lifting capacity of 1100 kg’s and the telescopic boom can reach 2.98m. 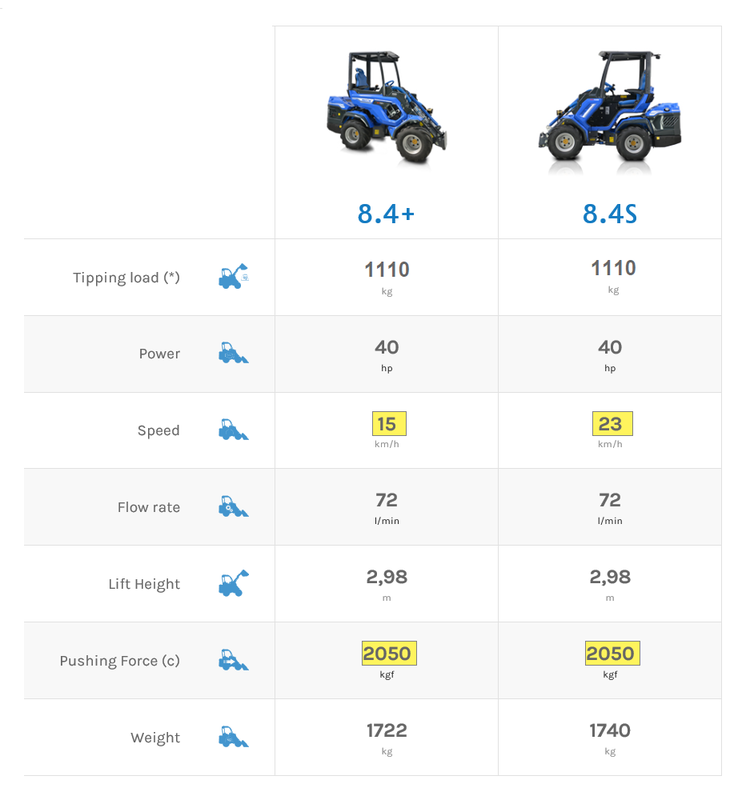 These versatile loaders can easily be transported behind a pickup on a trailer weighing in at a mere 1700kg’s. 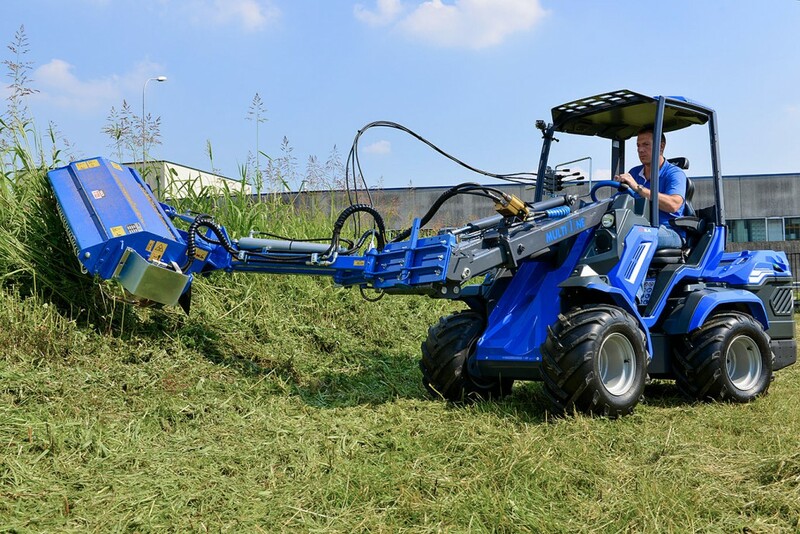 Powered by 40 Hp Yanmar diesel engines our compact loaders can deliver 72 litres per minute hydraulic flow to attachments making it the perfect all-rounder for farming landscaping, construction, DIY, cleaning, forestry, maintenance on all terrain types. The 8 Series offers a perfect replacement or alternative to common skid steers due to it lighter frame and fuel efficiency.